Read about GreenPrint on trusted news channels. Better management of the enterprise printing environment represents a huge savings opportunity, but it’s also a significant challenge. Departments and users have different print habits and needs. Print devices have different capabilities and cost profiles. GreenPrint offers a suite of software solutions that significantly reduce that complexity. They help you tackle print costs with a phased, tailored and measurable approach for every part of your organization. 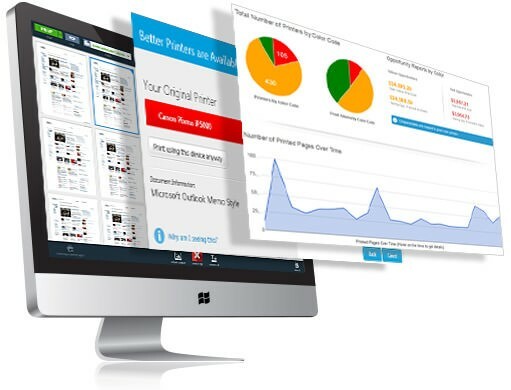 Measure, Analyze and manage print consumption in your organization. Redirect your print jobs to less expensive printers and reinforces good print habits. Allows you to remove unwanted pages and content from being printed. 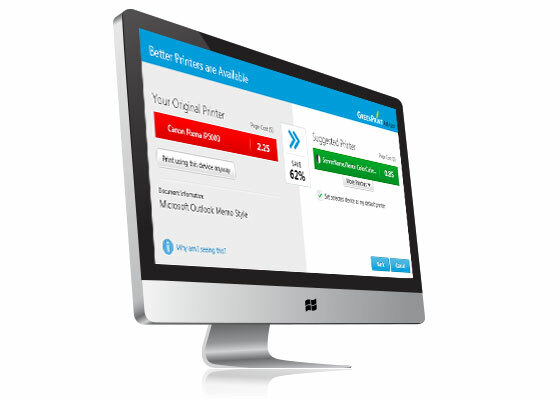 GreenPrint Analytics is a powerful print measurement and analysis tool that can help your organization track print consumption of both on and off-network printers, identify immediate cost savings opportunities and enable you to more efficiently manage your print operations over time. 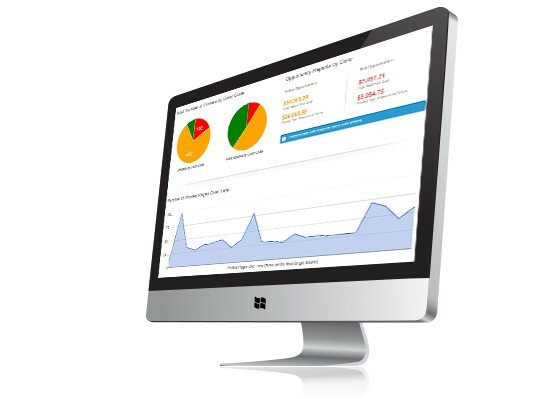 Analytics is offered as a stand alone product or as part of a bundle with GreenPrint Enterprise Suite. Redirect print jobs to low cost printers. 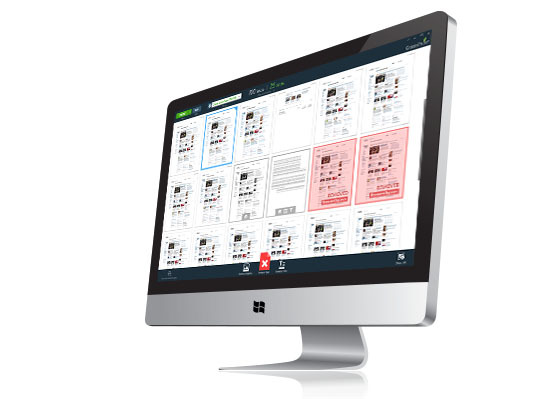 Advisor makes it easy for user to redirect print jobs to lower cost printers and reinforces good print habits within your organization. Eliminate unwanted pages before they are printed. Preview+ makes it easy to remove unwanted pages before they’re printed, such as that final page with just a one line URL, seven pages of chain replies attached to an email, or the 50+ pages of the slide deck you didn’t mean to print. Preview+ also allows user to Create high quality PDFs instead of printing. Interested in GreenPrint Enterprise Suite? Contact sales for a free trial of GreenPrint Enterprise and a custom pricing quote.